In the wake of 9/11, policy analysts, journalists, and academics have tried to make sense of the rise of militant Islam, particularly its role as a motivating and legitimating force for violence against the United States. 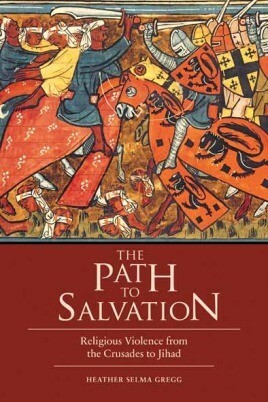 Unfortunately, due to sales rights restrictions, we cannot offer The Path to Salvation for sale in your country. • Heather S. Gregg draws comparisons across religious traditions to investigate common causes of religious violence, using examples from current and historic acts of violence. Here, however, Heather S. Gregg draws comparisons across religious traditions to investigate common causes of religious violence. The author sets side by side examples of current and historic Islamic violence with similar acts by Christian, Jewish, Buddhist, and Hindu adherents. Based on her findings, Gregg challenges the assumption that religious violence stems from a faith's scriptures. Instead, Gregg argues that religious violence is the result of interpretations of a religion's beliefs and scriptures. Interpretations calling for violence in the name of a faith are the product of individuals, but it is important to understand the conditions under which these violent interpretations of a religion occur. These conditions must be considered by identifying who is interpreting the religion and by what authority; the social, political, and economic circumstances surrounding these violent interpretations; and the believability of these interpretations by members of religious communities.